Bundesliga | Demirbay: "Our fighting spirit was decisive." In the 17th Bundesliga clash between Hoffenheim and Bayern, Demirbay lead the way for Hoffenheim. 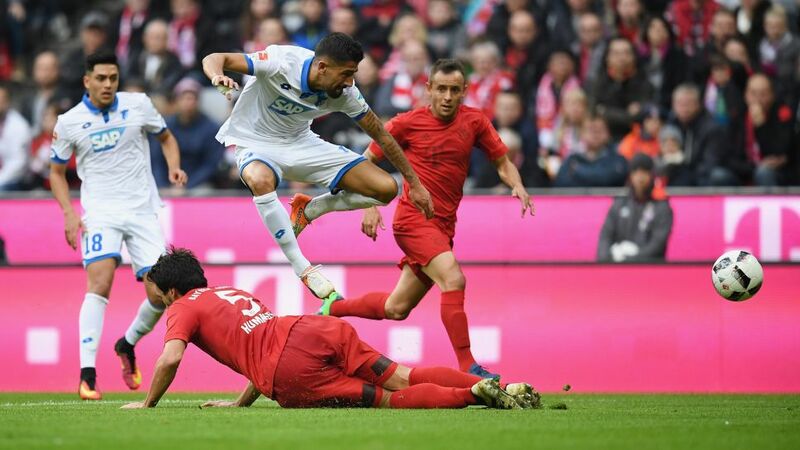 TSG 1899 Hoffenheim added another chapter to their Bundesliga success story following their thrilling 1-1 draw with league leaders FC Bayern München at the Allianz Arena during Matchday 10. Netting his third goal of the season, Kerem Demirbay had Hoffenheim dreaming of a victory against their Bavarian opponents. However, concluding in a 1-1 draw, the 23-year-old midfielder explains that Hoffenheim's success is more than just unbridled will and fighting spirit. Watch: How Julian Nagelsmann has turned Hoffenheim into one of the Bundesliga's top teams. Question: Kerem Demirbay, congratulations for the one point in Munich. What did you make of the game? Kerem Demirbay: We are unbeaten in 10 games. That shows how well we function as a team. We have shown that we can hold our own against an opponent like Bayern. I think Bayern can be satisfied with the one point just like we are. Question: Taking the lead, was your goal just a case of "close your eyes and strike"? Demirbay: No, definitely not. Nadir Amiri played the ball brilliantly. It arrived pretty much perfectly; not too hard or flat and directly at my feet. These three things speak for themselves. I wanted to at least hit the target, but particularly in the right hand corner, Manuel Neuer’s weaker side. It looked pretty spectacular. how the ball went in. But a goal is a goal, it’s not important to me how it went, as long as it did. Question: That was your third goal of the season and the third goal you've been involved in in the last three games. How do you explain your great form? Demirbay: Every day I work very hard and am very determined. However, the team is also a big part of it. We clicking very well with one another at the moment. It starts in the changing room, each one of us exudes positive energy. Each one of us works hard. That we are unbeaten in 10 games, confirms that. We can be satisfied with our last 10 games. Question: In the past, Hoffenheim have lost to Bayern following a goal in stoppage time on three occasions. What was different this time for that not to be the case? Demirbay: The mental strength and fighting spirit that is in each and every one of us was decisive to our performance. In the end, we had to defend dirty, although we can still be satisfied with our performance. We didn’t, however, show our ability on the ball. In numerous situations we weren't so successful. Bayern applied a lot of pressure, and that is why our attack lacked the drive. But we go on and I hope all remain positive, which I believe we will. Question: What can Hoffenheim achieve as the season goes on? Demirbay: We'll see at the end of the season. We need to see how it goes from game to game. Now we have a week "off" for the international break, before we’re back against Hamburger SV, which will be no easy game. For more reaction to Hoffenheim's draw with Bayern, head to the Match Centre.